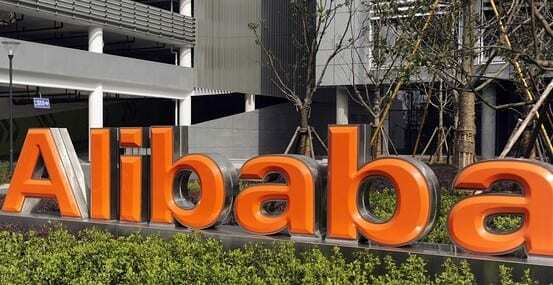 Alibaba to launch own mobile OS? Chinese e-Commerce behemoth Alibaba is reported to be building its own mobile operating system for launch in the third quarter of this year. The OS is likely to be cloud-based – the group has had a dedicated “Alibaba Cloud Computing” unit since 2009, which is now reported to be working on the project. The cloud initiative has, according to the company, involved the “mission of building an advanced data-centric cloud computing service platform” that will drive the growth of the company’s e-commerce ecosystem through data mining, “high speed massive e-commerce data processing” and data customisation. While reports of the rumoured OS have surfaced in the Chinese press as well as Reuters, the company has yet to make any official statement on the topic. Alibaba connects buyers and suppliers as well as consumer-oriented vendors. If it was to develop its own mobile operating system, the company could use this to drive uptake of e-commerce applications that would pose a significant challenge to the likes of Apple, Google and Microsoft in the Asian market. Cloud-based offerings would side-step the need to download applications, allowing the trading giant to tap into an essentially captive market eager to connect and trade goods and services on a mobile platform hosted on Alibaba’s own remote servers. The company already offers business users a range of business management software, export-related services and infrastructure – its Taobao Marketplace has 370 million registered users, 800 million product listings and pulls more than 50 million unique visitors on a daily basis. Taobao Mall has an almost 48 per cent share of the Chinese B2C online retail market while Alipay is the country’s biggest third-party online payment platform. With such a level of reach and dominance, it is unlikely that many vendors would eschew using a mobile platform offered by the company, which is 40 per cent owned by Yahoo! The Alibaba reports come on the back of similar rumours regarding China’s answer to Google, Baidu. The search firm is reported to be developing its own mobile OS, code-named Qiushi. Although the company has said that Qiushi is actually a mobile advertising project, speculation is rife that an Android-based offering is in the works. Despite criticism that it engages in censorship on behalf of the Chinese government, Baidu is the country’s most-used search engine, with a 63 per cent market share.